Home » Website Building » Weebly » How to Add Google Search Console Code in Weebly? How to Add Google Search Console Code in Weebly? 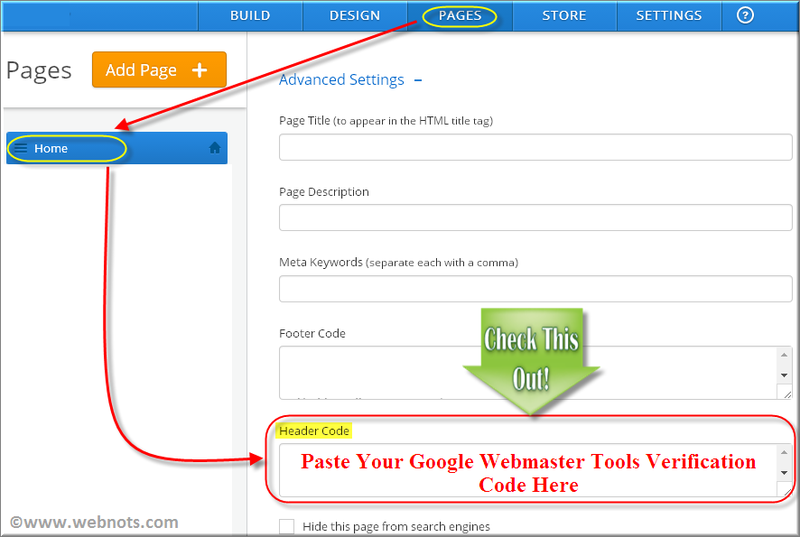 How to Add and Verify Google Webmaster Tools Code in Your Free Weebly Site? With Google’s dominance in the search engine world, it looks submitting your site to Google is the only way to get quality search traffic. In order to submit your Weebly site to Google, you need to add a verification code offered by Google webmaster tools and confirm that you are the owner of that site. Verification is required to access various other free features including Sitemap submission. Since Google does not offer anonymous site submission you need to verify your ownership using one of the way Google offers. Login to your Google webmaster tools account and add your Weebly site. Choose “HTML tag” verification method under “Alternate methods” tab. You will see a meta tag verification code along with the instruction to install. Copy the code – this is the code to be pasted in your Weebly site. Login to your Weebly account, edit the site you added in the previous step. Navigate to SEO section under site’s Settings tab. Paste the verification code copied in the previous step in the Header Code box as shown in the below picture. Save your changes and publish your site. 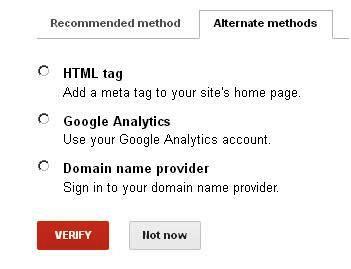 Go to Google webmaster tools account and click the verify button and your site will be verified successfully. 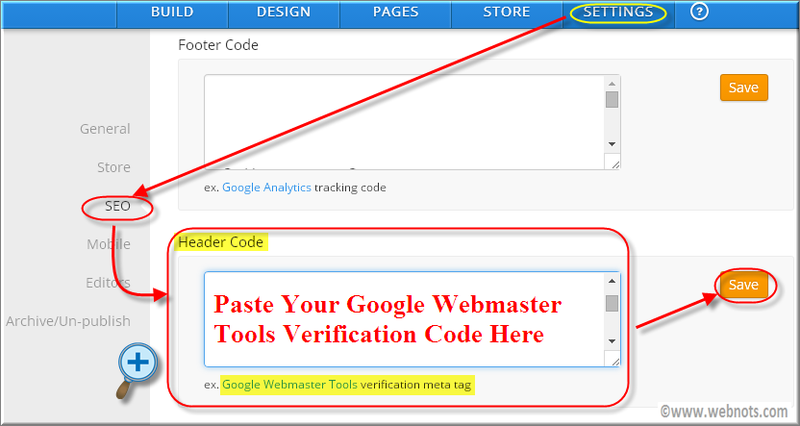 In order to get better monitoring results in webmaster tools account, it is recommended to paste the verification code in all the pages of your Weebly site. Go to Pages tab and select the page you want to add the verification code. Click on the Advanced Settings link and paste your code inside the Header Code box as shown in the below picture. HTML meta tag verification method does not require access to site’s root directory and hence easy to implement on your free Weebly site. Adding site to Google webmaster tools does not guarantee any improved ranking in the search results. This is only used for monitoring your site’s performance in Google search.